All the MS data you need, always enhanced by the selectivity of ion mobility. More resolution not only provides more data – it also brings complexity. Ion mobility refines spectra using both rt and dt, so you see all the components and none of the interference. When looking only at the m/z value of an analyte, interferences can occur between analytes of the same nominal mass. Using ion mobility you see CCS values for every ion for every analysis. Different chromatography and changing matrices cause a variation in retention time. Identifications based on CCS and m/z are precise and independent of retention time. Overcome complex samples and gain increased clarity. Gain more insight and instant clarity from your analyses as the combination of accurate mass, retention time and CCS allows you to clearly see the compounds of interest and discount background interference. Increase Productivity – have more time to focus on the things that matter to you. Vion IMS QTof is calibrated and ready for you to acquire data. Once acquired you can build, create and share comprehensive reports easily and quickly with UNIFI. 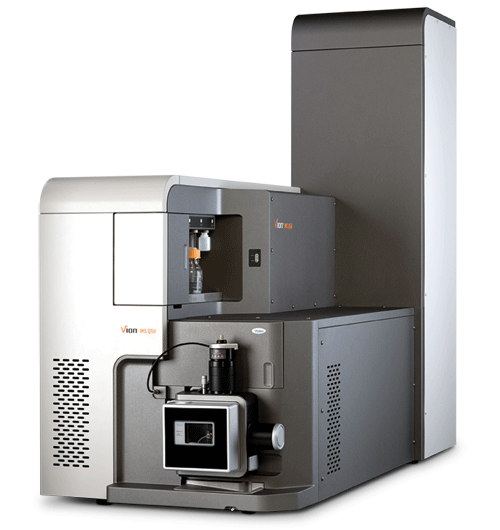 Delivering high mass resolution at maximum sensitivity, sub 1ppm mass accuracy and enhanced quantitative performance, Vion IMS QTof incorporates ion mobility accessible to every scientist for every analysis. CCS reduces false positives and false negatives, saving up to 8 hours of data analysis for each false positive detected. Automated processing and data visualization enables you to find the information you need. Gain increased confidence even with retention time shifting. 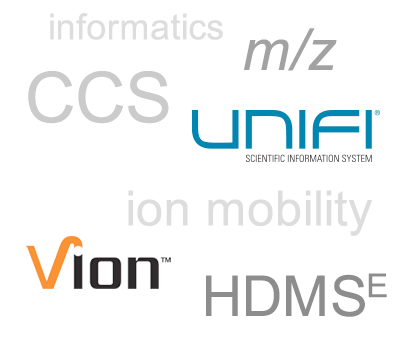 The combination of ion mobility, CCS, m/z, HDMSE, and UNIFI give total confidence in your data. Are you ready for routine ion mobility?